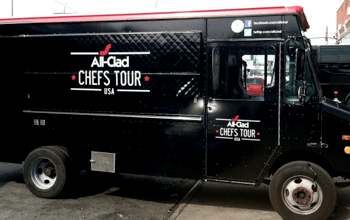 Lady and the Blog → Living → Event → Exclusive: The ‘All-Clad Chefs Tour Food Truck’ Next Location Revealed Here! Exclusive: The ‘All-Clad Chefs Tour Food Truck’ Next Location Revealed Here! 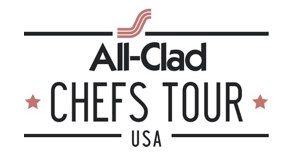 The first-ever All-Clad Chefs Tour has launched in New York City this fall. This branded, mobile kitchen features All-Clad celebrity chef ambassadors, demonstrating how to cook with signature cookware and will be stationed throughout New York City to “pop up” in front of highly trafficked retail stores, popular restaurants and city landmarks. These impromptu, food truck-style cooking demonstrations will give New Yorkers access to the city’s top chefs and gourmet cuisine. Well, I know where the next secret location will be! I’m working with All-Clad and can announce that those living in White Plains are going to be thrilled to hear that the All-Clad truck is coming to Bloomingdale’s!! To find out WHEN the trucks will be arriving, come back on Thursday! Full details will be released in a few days.